Description: Channel the power of the moon and stars as you call fourth the new year! Crimson Glory Hat and Locks. Emerald Glory Hat and Locks. 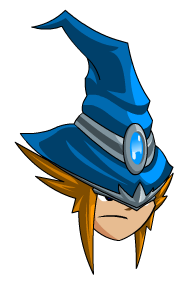 Sapphire Star Wizard Hat (AC).